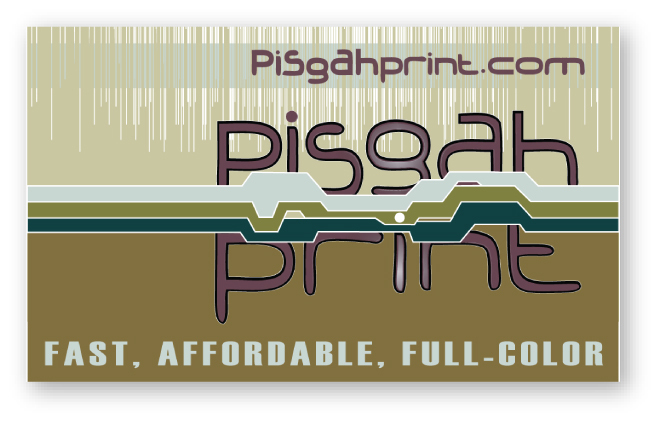 Pisgah Print, a print service company based in the WNC mountains, needed a logo that while colorful (to showcase their printing in the best light) was also modern and subdued. This logo features hand crafted type and a mod mountain range. The business card expands on the logo, features a tag line, and offers a textural background for greater variety. Created in March of 2009.